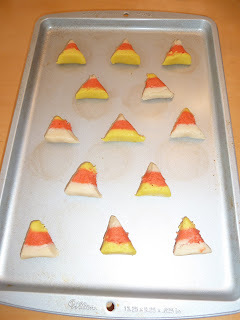 These are super cute Halloween sugar cookies. This recipe makes a ton and would be perfect for a fall festival, bake sale, or just Halloween fun! Line a 9x13" dish with parchment paper. 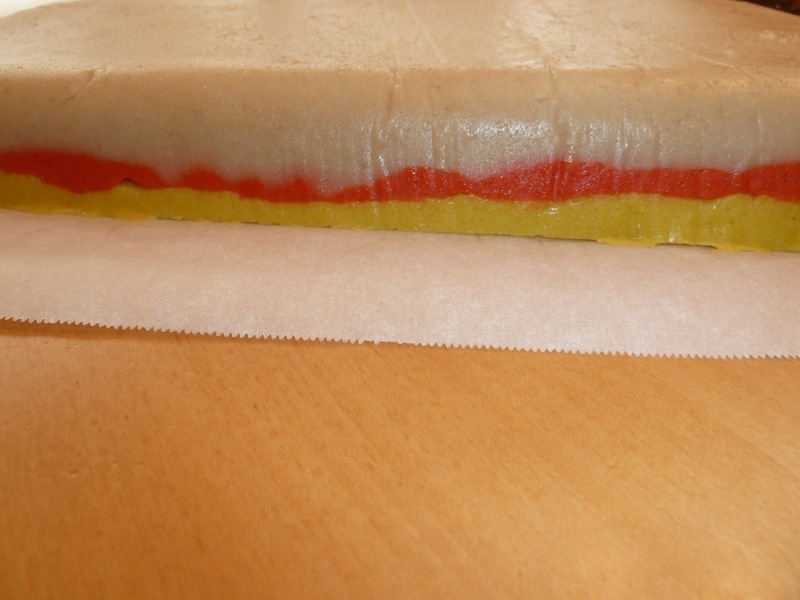 Press 2 rolls of cookie dough into bottom for the white layer. Use parchment paper and a round glass or small rolling pin to smooth out. 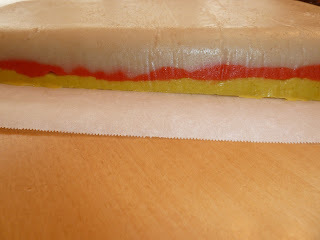 Next, in a stand mixer, combine 2 more rolls of cookie dough with yellow and red food coloring to make the orange layer. Press the orange on top of the white and again use parchment paper and a round glass or small rolling pin to smooth out. Then, in a stand mixer, combine the last 2 rolls of cookie dough with yellow food coloring to make the yellow layer. 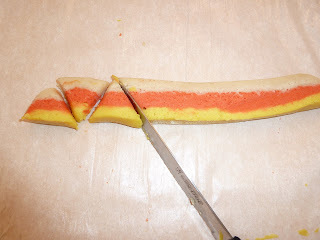 Press the yellow on top of the orange and again use parchment paper and a round glass or small rolling pin to smooth out. Let chill until firm and easy to cut. Invert whole pan of cookie dough onto parchment paper. Cut a long strip width-wise. Cut the strip into triangle shapes. Repeat & repeat & repeat! You may need to chill the cookie dough again if it gets sticky and hard to cut. 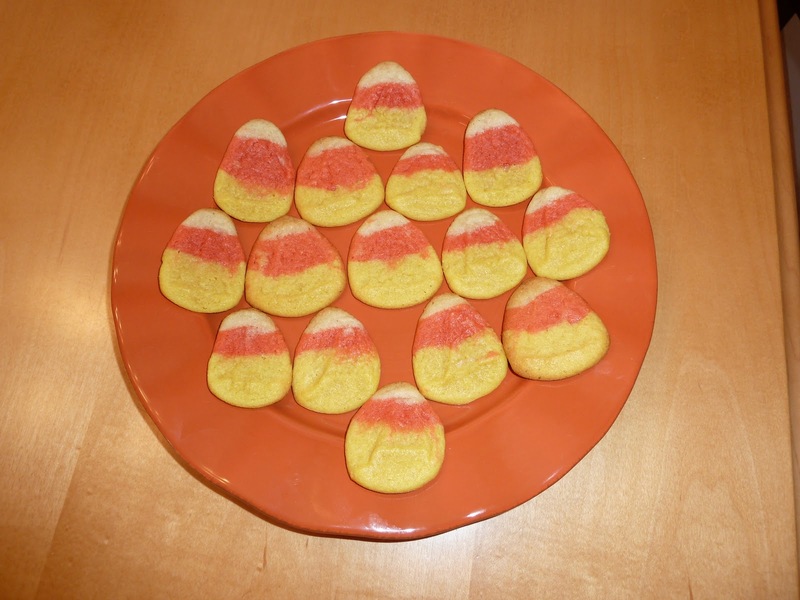 Put the candy corn cookies onto an ungreased cookie sheet and cook according to package directions. Cool. I thought u iced them! Great tutorial. 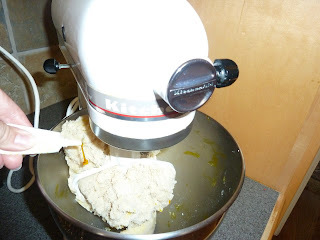 Even for someone that only has a hand mixer.